One of the most frequent readers’ advisory questions I get is also one of the most complicated. Often, a reader asks for a “funny” book. But what does that mean? Humor is subjective. Some readers might be looking for a book with slapstick-y humor, others might appreciate darker humor, like satire. Some readers don’t mind a book with bits of humor but more dramatic themes overall, others just want an easy, breezy comedy. Bottom line: matching books with readers looking for a funny book can be tricky. Since April is National Humor Month, it seemed like a good time to break down the subcategories of humor and offer suggestions for readers looking for funny books. Satire is the use of humorous exaggeration to expose and criticize, particularly in the context of politics or culture. Beauty Queens by Libba Bray (2012 YALSA Best Fiction for Young Adults, 2012 Amelia Bloomer List, 2012 Rainbow List, 2014 Popular Paperbacks) is about a group of beauty pageant contestants who crash land on an island: hilarity ensues. But while a less adept writer might have just mocked the beauty-obsessed girls, but instead, she creates complicated characters who for various reasons—money, love, approval—have all bought into the rigid standards beauty pageant contestants are expected to embody, and in the process, critiques consumerism , reality TV, and of course, pageants. The Last Dragonslayer by Jasper Fforde (2013 Best Fiction for Young Adults) is the story of Jennifer Strange, a wizard for hire who becomes the last dragonslayer. Like Bray, Fforde critiques the corporate world and consumer culture in this fantasy series sure to put a smirk on reader’s faces. Teen readers who love satire should also check out the classics from authors like George Orwell and Kurt Vonnegut. 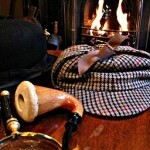 Readers who enjoy a good mystery don’t have to sacrifice the humor. 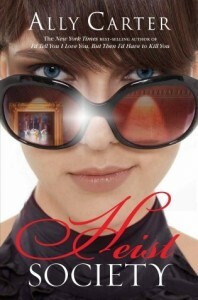 Ally Carter’s Heist Society (2013 Top Ten Popular Paperbacks, 2011 Amazing Audiobooks, 2010 Teens’ Top Ten, 2014 Quick Picks for Reluctant Readers) blends action and hilarity. Guy Langman, Crime Scene Procastinator by Josh Berk is full of the the hilarious thoughts of teenage boys. When Guy joins the the forensics club, he doesn’t expect to find a real dead body. Even dark dystopian thrillers can be funny. The Darkest Minds by Alexandra Bracken is set in a world where teens who have survived a mysterious illness that left most children dead have developed extraordinary powers that land them in government run prison camps. But when Ruby escapes and teams up with other teens on the run, the high stakes don’t stop them from enjoying some witty banter. 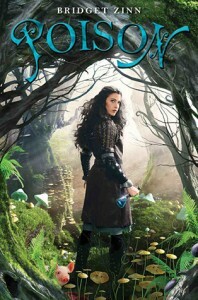 Poison by Bridget Zinn is a light-hearted fantasy that will be sure to make readers chuckle. Kyra, renowned potions master, is on the run when her poison dart misses its intended target and she teams up with Fred to find the princess she was meant to kill while evading the king’s army. Bonus points for an adorable pig sidekick! Readers looking for a little tongue-in-cheek humor poking fun at the paranormal romance, especially those featuring vampires, should check out Team Human by Sarah Rees Brennan and Justine Larbalestier (2013 Best Fiction for Young Adults). Sci-fi fans who like their space travel with a dose of humor should check out Mothership by Marin Leicht and Isla Neal. Part Juno, Part Alien, this novel is wacky and full of snark. 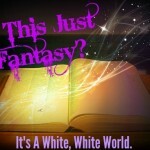 Readers looking for YA love stories light on angst and heavy on humor have lots of options. To All the Boys I’ve Loved Before by Jenny Han is an adorable story. Laura Jean has written love letters to all of her crushes—including her sister’s ex-boyfriend and a popular boy from school—and keeps them hidden in a hatbox in her closet. When the letter are mysteriously mailed to all her former loves, Laura Jean has to confront her true feelings. 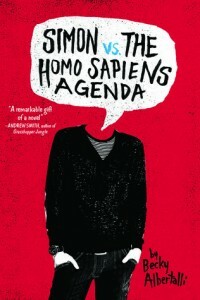 Simon vs. the Homo Sapiens Agenda by Becky Allbertalli is absolutely adorable. When Simon “meets” a fellow classmate on his school’s gossip tumblr and begins exchanging emails with him, he finds himself quickly falling for “Blue”, another not-yet-openly-gay boy. Their witty and flirty emails are so believable. Rounding out the story are a great cast of characters, like Simon’s family, who Skype in his sister who is away at college so they can all watch The Bachelor together. Not many murder mysteries manage to be funny, but No One Else Can Have You by Kathleen Hale is an exception. Full of black comedy, Wisconsin slang, and a bungling police department, this is one deadly funny story. The 39 Deaths of Adam Strand by Gregory Galloway is full of the darkest of humor (and woefully underappreciated, in my opinion). Literary fiction isn’t often funny, but Adam Strand is a modern day Holden Caulfield as imagined by Kurt Vonnegut. Adam has tried to kill himself 39 times, but each time wakes in his bed, completely unharmed. But this book isn’t really about suicide: it’s about family and friendship and finding the will to live while recognizing the inevitability of death. 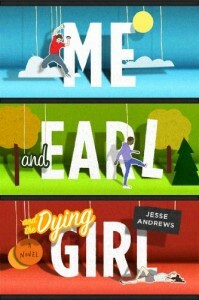 Readers who balled their eyes out while reading The Fault in Our Stars by John Green will find Me, Earl, and the Dying Girl by Jesse Andrews (2013 Top Ten Best Fiction for Young Adults, 2013 Quick Picks for Reluctant Readers, 2014 Popular Paperbacks) a refreshing read. When awkward and self-deprecating movie-makers Greg and Earl are forced to hang out with a childhood friend dying of Leukemia, they actually have a good time. For more from Hub bloggers on humorous YA, check out a 2013 Genre Guide and 2013 Roundup of funny YA titles and be sure to check out the Humor Me list from the 2014 Popular Paperbacks selections. 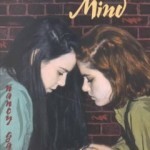 As a Lesbian, I Resent Your Laughter, and All Laughter: Why are YA Lesbian Novels So Serious? One of my favourite humourous authors is Catherynne Valente, who wrote the ‘Fairyland’ series (the first book is ‘The Girl Who Circumnavigated Fairyland in a Ship of Her Own Making’.) They’re marketed as middle grade, but the humour is quite adult, and the books in general are very suitable for teens. I agree! The Fairyland books are amazing and definitely have their humorous moments.